By TruePublica – This article was first published Oct 2015: What is interesting about this three-year-old article is that in 2015 when David Cameron was voted into No 10 – just 66.1% of the electorate voted. The EU referendum vote attracted 72.2% of the electorate in June 2016 and although heralded as a unanimous decision, it was in fact, the fifth worst voter turnout since the end of the first World War. Theresa May called a snap election in June 2017 based on a Brexit manifesto where just 68% of the electorate voted or the fourth worst turnout since WW1. Voter turnout reached a peak in 1950 election where voter turnout was 84% and has been in decline ever since. Is extreme neoliberal capitalism strangling democracy? At the start of 2017 – 74% of the adult population of Britain did not trust politicians to tell the truth or do the right thing. Just after the EU referendum, just 35% of the electorate trusted Theresa May – a figure that has only increased 1% since. In the meantime, 48% of the electorate completely distrust Britain’s PM. In addition, only a one-third of the electorate ever turned up to European elections and yet the EU referendum has ended up completely dividing British society. In the end, Brexit will not deliver sovereignty but it will deliver a much more deregulated market for the corporations, making life worse for those who felt left behind by globalisation, which will, in turn, reduce trust in politicians to ever greater depths – then what? A study by Democratic Audit into the state of democracy in Britain conducted in 2012 looked at the previous ten years and warned that democracy was in “long-term terminal decline” as the power of corporations keeps expanding, politicians become less representative of their constituencies and disillusioned citizens stop voting or even discussing current affairs. Political decision-making, and how fairly the system reflects the population it represents is a principle most powerfully embedded in the concept of one person, one vote. But it doesn’t seem to be working for Britain. Britain is the only nation left in Europe that continues to use the antiquated ‘First past the post‘ electoral system. Britain is one of only two countries (the other is Canada) in the 34 nation OECD with an unelected parliamentary chamber and it is by far the largest of any democracy in the world. The majority in the House of Lords are life peers who are appointed by the Monarch on the advice of the Prime Minister, and the balance on the advice of the House of Lords Appointments Commission. None are elected democratically by citizens. Democratic Audit revealed in their study that there had been 74 areas of democratic improvements but that these improvements were very modest in scope. This was overshadowed by 92 concerns and 62 emerging concerns that democracy in Britain was indeed going in the wrong direction. And remember, that was in 2012. Almost immediately after election victory this year, the Conservatives announced the impending destruction of the Human Rights Act and dismantling of the Freedom of Information Act along with threats of increased surveillance and lower thresholds of security for citizens with a new government drive towards banning encryption. The report also says that public faith in democratic institutions is “decaying”; there is a widening gap in the participation rates of different social classes of voters; and an “unprecedented” growth in corporate power, which the study’s authors warn “threatens to undermine some of the most basic principles of democratic decision-making”. Since the 2012 report, we have now seen the emergence of the truly alarming and secretive TTIP agreement. Millions of European citizens are very concerned about what they consider to be a corporate ‘stitch-up’ and it’s of no surprise that faith in democratic principle is decaying. In the largest study ever undertaken by the EU commission 97% of respondents stating they did not support TTIP with the end result being that governments are proceeding anyway. It is not hard to see why sentiment towards the political process is vaporising. If democracy in Britain is supposed to representative of its citizens then its core principle is surely about engagement in the political process, political parties and having trust and faith in both. Since 1950 when voter turnout was 84% of the electorate, participation by voters has crashed by nearly 20%. Even the hotly contested election of this year produced an anaemic response barely better than the previous worst three turnouts in over 100 years. The less democratic Britain becomes or even feels, the less people turn up for elections. This is evident with the European elections. The lowest-ever vote in a European election of 24% was in 1999. The UK’s first ever European vote of 32% was in 1979. The European election average turnout for the UK is just 33.5%. And who can blame such a low turnout. Following the appointment of the unelected Jean-Claude Juncker last year at the head of the European Commission, a further 27 unelected commissioners were appointed, for the following five years, to their powerful posts in the European Commission. The biggest decline in voter turnout in Britain started in 1979 under Thatcher, continued under Blair, the coalition and now Cameron. Only 1% of the electorate are now members of political parties, this is an historic low and overall membership levels continue to decline. Democratic Audit used over 40 international comparable datasets, including the 34 nation OECD, EU nations, Nordic (Denmark, Iceland, Finland,Norway, Sweden) nations, the six nation consensual (Austria, Belgium, Germany, Luxembourg, the Netherlands, Switzerland) democracies and five nation (Australia, Canada, Ireland, NZ and UK) Westminster democracies. In virtually every case, the UK ranks below the ”EU-15 average. The contrasts between the UK and the Nordic countries was particularly stark. The numbers are telling. The Nordic nations have consistently higher democratic scores in almost every metric. Voter turnout is almost 20% higher, participation in political parties is 400% higher and the proportion of female politicians is almost double at 41%. Britain’s ‘Global Absence of Corruption’ ranking is 20th place, the average for Nordic nations is 4th. Global rankings for press freedom in the UK is 26th, for Nordic nations it’s 2nd. In Rule of Law Britain ranks 12th and lags far behind the Nordic nations who occupy 4 out of the top 5 slots. Lower Corruption, higher press freedom and consistent use of the rule of law in the Nordic nations – accounts for a better functioning democracy. As the report continues to highlight – “Public faith in democratic institutions is decaying, and reforms aimed at restoring public confidence in democratic arrangements have tended to prove, at best, ineffectual and, in several cases, counter- productive”. This has all come about because of a lack of trust. 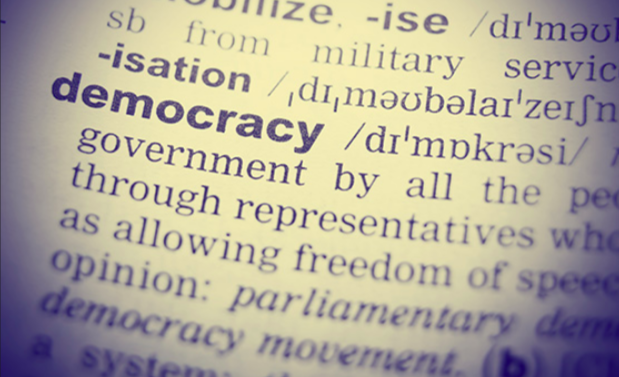 The public now regard democratic institutions such as parliament as increasingly irrelevant; and have growing concerns about levels of corruption in politics and government. They have less faith and trust in elected representatives, particularly as they see those representatives demonstrating that they do not exercise political power effectively and make decisions that tend not to be approved of. Before the last election the participation rate in British politics was ranked below all of the major powers in Europe, and a string of nations which were not even considered to have fully functioning democracies. These included Lebanon, Palestine, Tunisia and Namibia. The invasion of Iraq and continued involvement in unpopular conflicts in the Middle East and Ukraine are turning the country into a war-weary nation whose biggest personal conflicts in life is keeping their families above the waterline in what appears to be a sinking ship for millions. By far the worst turnout for a vote was for the Police Commissioners in November 2012. The final result was that just 15% of the eligible population voted in this election. To give that some perspective, 15.5 million or an equivalent to 23.2% voted during the 2010 edition of X-Factor. One candidate said the “government’s communications strategy was a complete disaster”, while another described the official television advertising campaign as “appallingly prejudiced and stereotyped”. The Home Office’s refusal to fund a direct mailing of candidates’ statements to all voters, and instead rely on directing people to a website, was roundly condemned, with 98% of candidates saying they would have preferred the information to be sent in the post. More widely, the police have been involved in many high profile scandals in recent years, as have politicians with the exposing of ludicrous expenses that has since actually only got worse in recent years. The scent of corruption in both is now widespread. Corporate power is growing, partly as a result of increased globalisation and an inevitable deregulation of policies put in place to protect citizens. This in itself now threatens the basic principles of democratic decision making. Combined with continual corporate lawlessness so amplified by the recent wrongdoing of VW and non-stop criminal actions against banks, public confidence in political and corporate ‘leadership’ is rapidly draining. It is becoming evident that if politicians such as those in power over the last 20 years, continually erode citizens rights, liberty and privacy whilst acting with immunity over their own criminal behaviour, a cycle of democratic failure emerges. Low voter turnout emboldens politicians to undertake even more deplorable acts against citizens, such as enforcing secretive backroom deals like TTIP in favour of corporate interests who provide huge funding for those parties to stay in power. Public participation and membership rates then fall with increasing distrust along with falling accountability and the cycle continues. Politicians are now seen as a political class or elite and appear to have morphed into a group who feel they rule by some sort of devine right. From a democratic perspective Britain is catastrophically in decline. If just 37% of the electorate voted for the current prime minister, how low would turnout have to be before we question whether it’s really representative of democracy at all?